Your thoughtful purchase can help these birds! 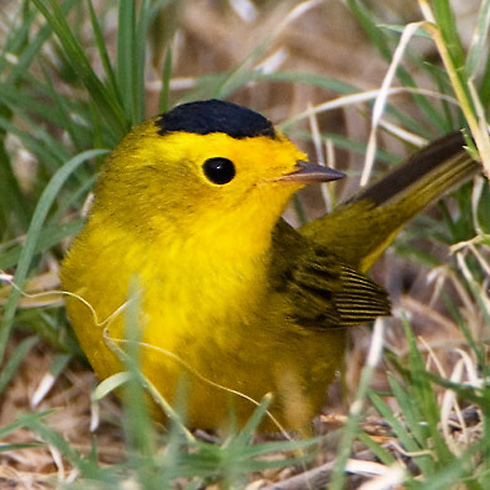 Early this fall, the tiny Wilson's Warbler began its long migration to Belize, where it winters. Navigating by the stars, the 1/4-ounce bird made a series of night flights spanning more than 2500 miles. This warbler returns to the same coffee plantation each year. Taller trees that shade the coffee are a winter home for many migrants from North America. 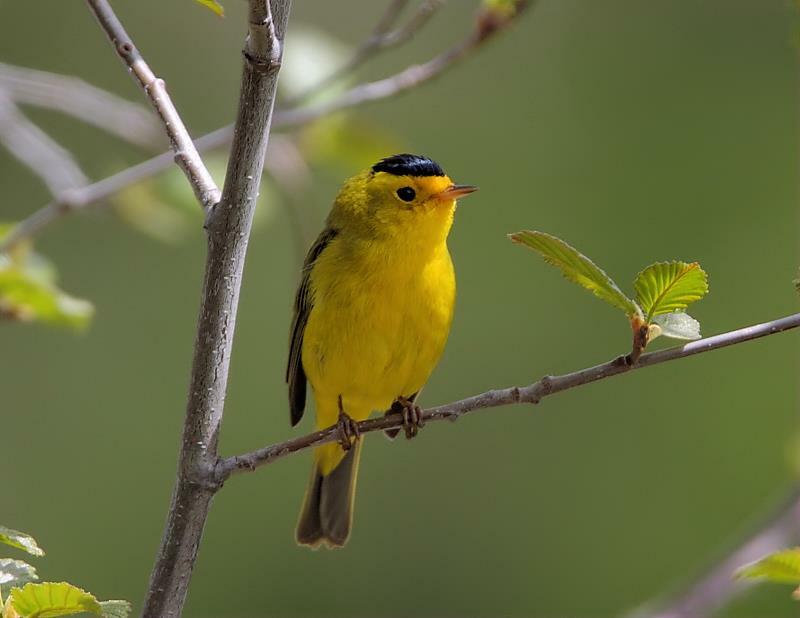 By buying shade-grown coffee, you can help migratory birds, including the Wilson's Warbler. Support comes from Sasquatch Books, offering BirdNote, the Book. Full of chirps and quirks — and it's wrappable for holiday gifts. More at SasquatchBooks.com. 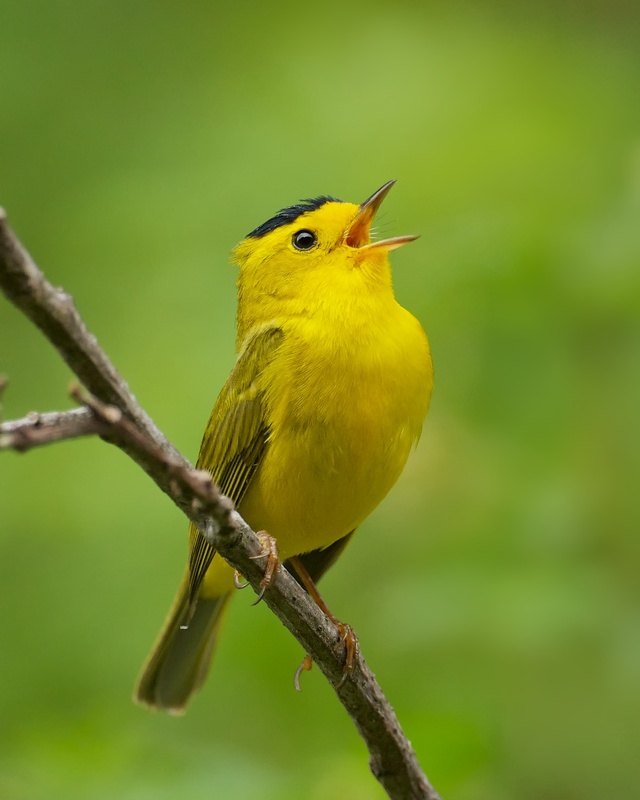 In summer, tiny, bright yellow Wilson’s Warblers nest in western forests and across Canada’s boreal zone. The males look like they’re wearing a little black beret. By September, all are headed south, to Central America. Navigating by the stars, these ¼-ounce birds make a series of night flights spanning more than 2500 miles. The warbler flits among the dark green coffee trees, now covered in richly scented white blossoms. Taller trees that shade the coffee plants are a winter home for other migrants from North America as well, like Summer Tanagers and Baltimore Orioles. [Song of Baltimore Oriole] They’ve joined the birds that live here year round. [Keel-billed Toucan calling] There’s a Keel-billed Toucan, a bird with a massive, multi-colored bill! Bird audio provided by The Macaulay Library of Natural Sounds at the Cornell Lab of Ornithology, Ithaca, New York. 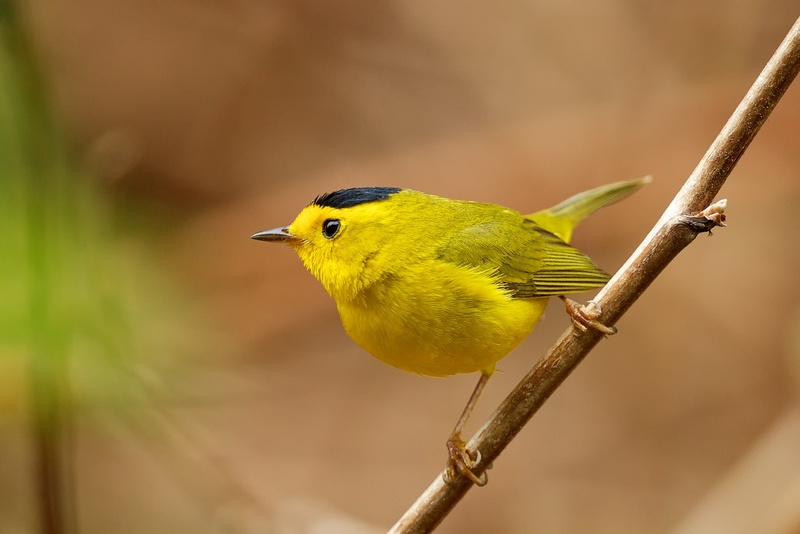 Wilson’s Warbler song  recorded by M.D. Medler; call notes of Wilson’s Warbler  recorded in Guatemala by Cullen Hanks; song of Baltimore Oriole  by A.A. Allen; Keel-billed Toucan call  recorded by M.D. Medler. Ending ambient (crickets) drawn from Black-mandibled Toucan  recorded by D.L. Ross. Steam in a Belize forest Nature SFX Essentials #40 recorded by Gordon Hempton of QuietPlanet.com.